New Delhi: Rich nations will have to take their share of responsibility for environmental degradation and pay proportionately more for their dominant role in climate change over 200 years of industrial development, finance minister Pranab Mukherjee said, articulating India’s stand before a key meeting in Copenhagen in December. Mukherjee said that the recent Group of Twenty summit discussed additional support to combat the effects of the financial crisis, stability in the financial markets, the financing of climate-change mitigation efforts and the strategy to withdraw stimulus measures. He said the steps would be withdrawn as the government seeks to return to the path of fiscal consolidation. 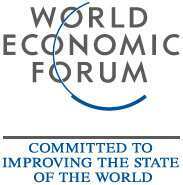 “In 2008-09 India clocked a GDP (gross domestic product) growth of 6.7%. If you compare it with the previous two quarters’ figures, it was reasonably acceptable. 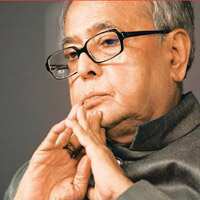 The question is how we proceed from here," Mukherjee said. ?“In due course, we will have to take corrective measures. The Prime Minister has very much in his mind a fiscal consolidation which is imperative." He reiterated his intention to bring down the fiscal and revenue deficit to 4% and 1.5%, respectively, by 2012. Prime Minister Manmohan Singh said at the summit on Sunday that the stimulus measures announced in the last fiscal to combat the economic slowdown would be wound down next year, following recent signs of an upturn in the economy. Answering a question about India reaching growth levels of 9-10%, Mukherjee said: “If the situation remains normal, by 2012 we will be able to achieve the magic figure. I will be happy if we achieve 7%-plus for the next year and the 8%-plus for the year after that and then take it up from there." India’s economy, which grew at an average pace of around 9% for three consecutive years, making it the second fastest growing economy in the world, slowed to 6.7% in 2008-09 amid the worldwide financial crisis.